In a game that was much closer than yesterday’s, every run scored (and every run saved) counted. Cody Bellinger drove in two of the Dodgers’ three runs, and Yasiel Puig made a potentially game-saving catch in the eighth inning to help the Dodgers hold on for their 96th win of the season. 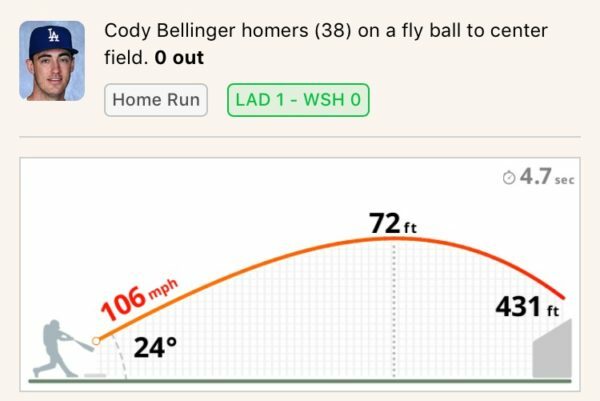 Bellinger got the scoring started in the top of the second with his 38th dong of the season, rocketed to center field on the second pitch he saw from A.J. Cole. 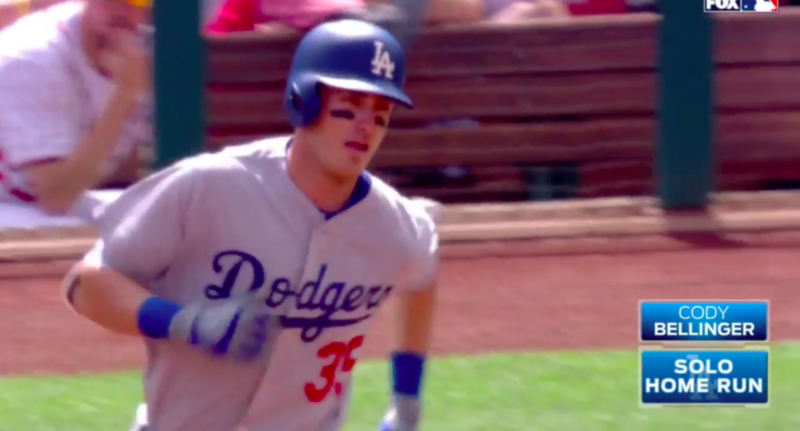 Cody also drove in the Dodgers’ second run of the day. With two outs in the top of the third, Bellinger stepped to the plate with Chase Utley on third (double, advanced on a groundout) and Justin Turner on first (his 17th hit by pitch of the season), and proceeded to single to bring Utley home. Dodger starter Rich Hill cruised through the first three and two-thirds innings, walking two batters but not allowing any hits. The first Nationals hit was a solo shot off the bat of Anthony Rendon, which came with two outs in the fourth inning. The Dodgers wasted no time getting that run back, though. Utley doubled to lead off the fifth inning, his second of the day and the 400th of his career. Corey Seager sent him to third on an infield single. Turner brought him home on a sac fly, making it 3-1, Dodgers. 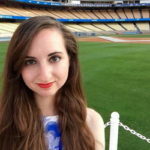 The first two Dodger batters reached against Cole in the sixth inning, and Dusty Baker went to his bullpen, bringing in Óliver Pérez, who struck out Chris Taylor (pinch hitting for Joc Pederson) and Logan Forsythe (pinch hitting for Hill, his day evidently done after just 74 pitches). Pérez then got out of his inherited jam by getting Utley to pop out. With both starters out, the bullpens got to work. The now-good Nationals bullpen managed to keep the Dodger bats fairly quiet, holding them scoreless for the remainder of the game. On the Dodgers side of things, Josh Fields pitched a clean bottom of the sixth. Brandon Morrow faced the minimum in the seventh, thanks to a double play that erased a one-ought infield single (deflected off his own glove). Give the man a Gold Glove. Kenley Jansen closed things out in the ninth, notching his 38th save of the season. With that, the Boys in Blue have officially won this series, and have guaranteed at least a season series split with the Nationals. Their magic number to clinch the NL West is down to five. The Dodgers, now 96-52, go for the sweep of the Nationals, now 89-59, tomorrow at 5 PM Pacific on ESPN’s Sunday Night Baseball. Hyun-Jin Ryu (3.59 ERA, 4.58 FIP, 4.68 DRA), who will be on 12 days of rest, will be up against Stephen Strasburg (2.64 ERA, 2.79 FIP, 2.83 DRA), who’s in the midst of an excellent season.